Bathroom furnishing is not only the correct location of all the objects in it, but also the selection of high-quality, beautiful and durable sanitary ware. The faucet is an important item in any bathroom, because it is used extensively. You should not get the first faucet, otherwise the need for repair and replacement of plumbing will appear much faster than we would like. 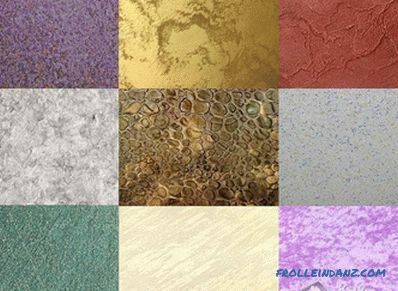 In order to choose a bathroom faucet, you need to understand the variety of types and technical characteristics. Single lever . In other words, such mixers have only one handle, thanks to which the flow of water and temperature are regulated. This type is the most popular in recent years, which is not surprising. It is extremely convenient to use. 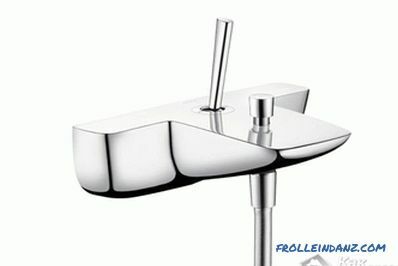 Most models of this type have a horizontal handle, which rises slightly upward, which opens the flow of water. There are taps in which the handle is located vertically, the so-called joystick mixers, but their popularity is much lower. Two-valve. It was these mixers that stood in each apartment a few decades ago. The design of such products is very simple, and they serve for many years. 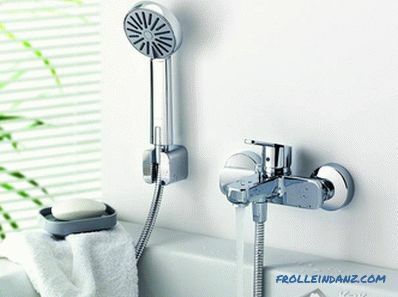 The water pressure and its temperature are controlled by two valve handles - separately for hot and cold water. In order to get the flow of water of a certain temperature and power, you need to make a lot of rotational movements. Other things being equal, the price of the valve will be less than the price of a single lever. Today, such models go out of fashion, although there are still quite a few fans of this type of mixer. 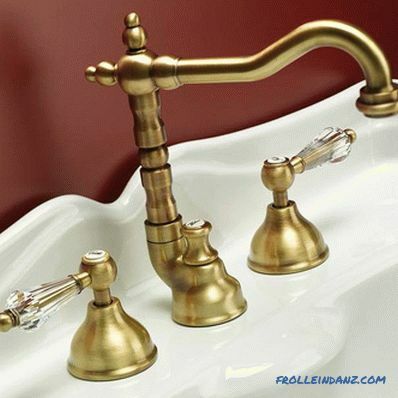 We can say that two-valve taps are a prerequisite for a retro-style bathroom, as well as for a classic or country-style interior. The disadvantages include constantly failing gaskets, which often and quickly wear out due to the intensive scrolling of the valves. At untimely replacement of the gasket, it starts to leak. Thermostatic. This is a new word of technology. 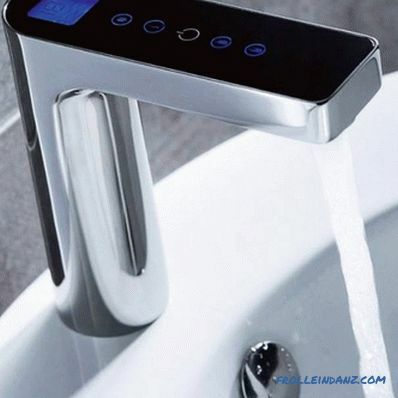 The person independently sets the temperature, comfortable for use, and receives a stream of water with the given temperature characteristics. The temperature of the water in the common pipeline does not matter. 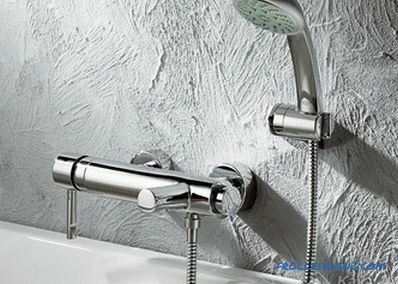 It can be said that thermostatic mixers are a kind of heaters. Such models are ideally used in homes with children who may accidentally burn too hot water. Non-Contact. Such mixers are still very rare. The water supply is activated not by mechanical means, but thanks to an infrared sensor. In other words, a person needs only to bring his hands, and the tap turns on the water. Of course, for the functioning of such a system is necessarily powered. Some contactless mixers have access to the electrical network, others are powered by batteries that need to be replaced regularly. Wall mounted. This is the most common method of attachment. Usually the pipeline has a wall outlet. Mortise. Typically, this type of fixation is typical for bathrooms in modern hotels. The cutting-in method can mask the shower hose and pipe, because all communications will be hidden behind the side of the bathtub or sink. Floor-standing. This is a fairly new look, so not even all masters are familiar with this method of attachment. All pipes are masked in a rack that attaches to the floor. There is a hook on this stand, where the shower head and the mixer itself are located, which can be either a two-lever or a single lever. Floor mounting method is ideal for original bathrooms, when the bath is not located next to the wall, but, for example, in the center. 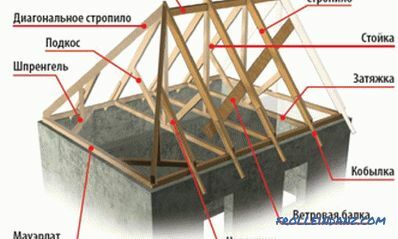 In many respects, the durability of the crane depends on the material. One can immediately say that plastic mixers do not deserve any praise, and even their low cost cannot be considered as an advantage. Brass mixers are the best choice for any consumer. 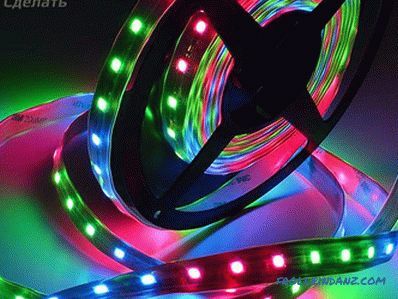 They are very durable, beautiful. 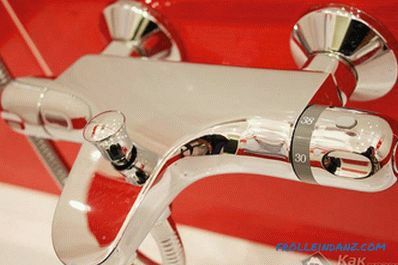 Most often, chrome models are produced, and this coating is also a kind of protection, including against bacteria. Chrome plating can be mechanically damaged, and therefore should be handled with care. The crane must be metallic not only externally but also internally.Simply put, the adjustments and fasteners must also be made of brass, only in this case we can speak of real quality. It all depends on what goals the apartment owner is pursuing. 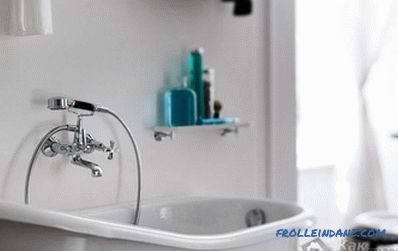 Most often, the sink is located in close proximity to the bathroom, and therefore the mixer is mounted on the wall above the sink so that the tap can move freely from one tank to another. 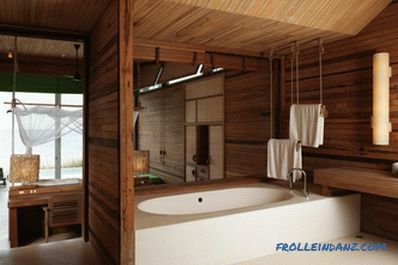 In this case, the watering can is usually pulled into the bath zone, where it is hung on a hook located on the wall. 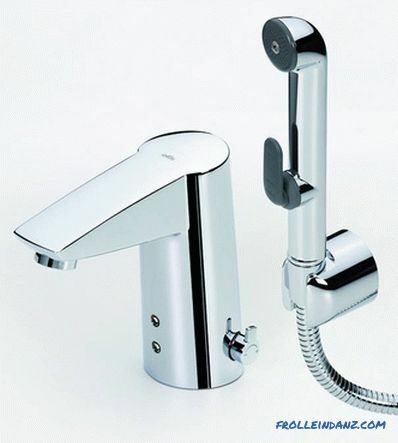 When choosing a manufacturer, It is worthwhile to look at Italian and German trademarks, for example, Roca or Grohe, however, today manufacturers from Asia have also done quite well. Even Chinese engineers are trying to equal European colleagues, and therefore it is quite easy to find decent mixers in quality and price. 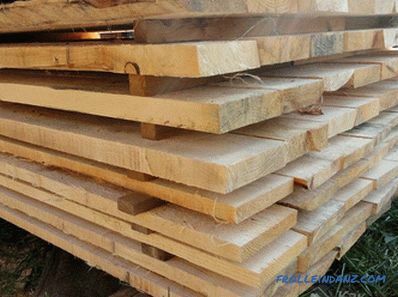 One can mention the products of the French company Jacob Dlafon, where one can see close cooperation of engineers and designers, which leads to a beautiful and high-quality result. 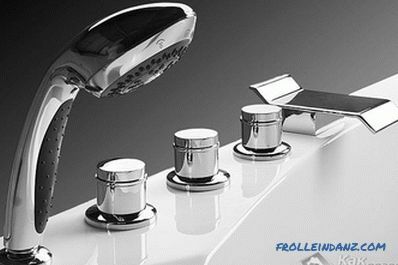 High quality products and the company Hansgrohe, which has more than a century engaged in the production of sanitary products and can with dignity bear the title of leader in its field. 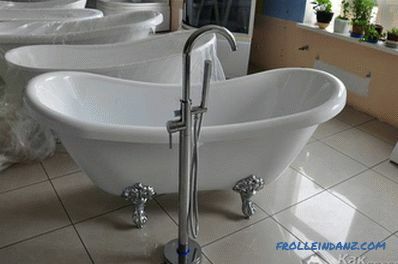 do-it-yourself bathtub restoration at home.